We had a Twifties Outing to the Catamount Adventure Park in the Berkshire Mountains on the NY/MA border. Get a taste of what this wonderful adventure was like, and see the full length 5 minute video when it debuts in November! Catamount Adventure Park info here! A group of Twifties and friends led by Twifties founder Lauren Traub Teton spend this gorgeous October day hiking, with stops for "Yoga Anywhere" led by yoga teacher Beth Nolan, and congenial conversation. Hiker Sue Babudro overshoots the turnoff and spends 45 minutes separated from the group. A search party heads out on her trail, and a happy reunion with explanation ensues. See the 2nd reel of this video where we meet a south-bound through hiker on the trail and check out his hiking gear, and we discuss the use of trekking poles, enjoying our Leki poles. (Get a pair at REI here!) Video by Lauren Traub Teton exclusive for Twifties.TV. 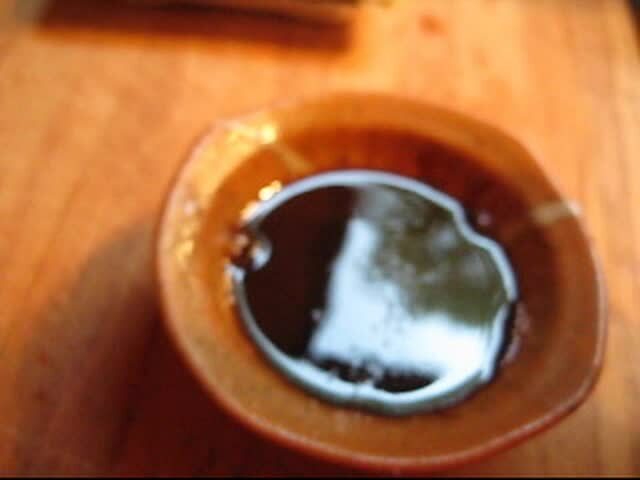 Did you know that soy sauce often contains wheat and gluten? And that soy itself is one of the eight major food allergens? This recipe takes just 2 minutes to concoct and will give you a tasty substitute for soy sauce, made with three healthy natural ingredients that may be in your kitchen right now. Whip up a batch to go on your rice or sushi! Add some wasabi and pickled ginger, and you'll be in soy free heaven! Created and filmed by Lauren Traub Teton, for Twifties.TV. Visit the Twifties.TV Gluten Free Show for more recipes, and restaurants where you can find wheat-free and gluten-free foods and recipes. See Part 1 where we hike up to the lookout. In part 2 you'll see why hiking poles or a stick are useful, and meet 2 adorable hikers on the Appalachian Trail as they head from Maine to Georgia, named Lucky and Charm, and they tell us about their trip and their hiking shoes. We show you exactly how to find the trail head too. Get the shoe Lucky is wearing, at Zappos, here. This is the EvolveFest After-Hike since the music and yoga fest was held right next to this part of the Appalachian Trail. Check out the view from the top, and learn how to recognize the turnoff for the view spot. See part 2 where we tell you exactly how to find the trail head, and meet two very cute Appalachian Trail through-hiker SoBos (that's South Bounders) named Lucky and Charm, and they tell us about their hiking shoes. We plop into a shady chair at someone's campsite and next thing you know we're having a private impromptu vocal rendition of Michael Jackson's "I Want You Back" performed by Eroc Mitchell, of Unexplained Bacon. At midnight they play at the Barn to a stoked dancing crowd. The next morning we meet a fan, Sue, of Edison, NJ and discuss the meaning of the name. Find out what it means in this tantalizing tasty crispy and delicious video!! See Parts 1, 2, 3, the Sneak Peek Reel, The After-Hike on the Appalachian Trail, Twifties Tips for Festivals, and the rest. Monday (for Lauren) started out with Dave Bryson doing a spiritual reading, then the Group Invocation/Circle Dance. Yoga of the Heart/Tantric Breathing with Beth Nolan brought participants into a new realm of energy. Then topped off with Vibrational Sound Massage with gongs and singing bowls. Sue from Edison tells about the late night show last night and compares this Evolvefest to years past.